Ian Heung comes to Thaden with ten years of teaching experience in instrumental music education, most recently at the Athenian School in the San Francisco Bay area. In addition to teaching music, Mr. Heung has served as a technology integration specialist, community service coordinator, and varsity swimming coach. He has also instructed and competed in marching bands as well as wind, string, and jazz ensembles. Mr. Heung earned his bachelor’s in music from the University of California, Berkeley. 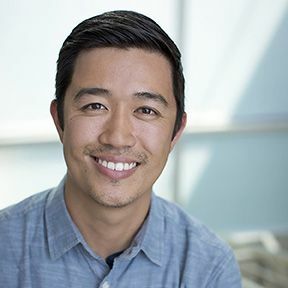 Born in Hong Kong and raised in the East Bay of San Francisco, Ian enjoys roasting coffee, rock climbing, and raising chickens, and is excited about homeschooling his two toddlers alongside his wife.